Ruschelle: Thank you for sitting down to share a little about yourself with us. Debra: I’m thrilled to get the chance to interview with you. 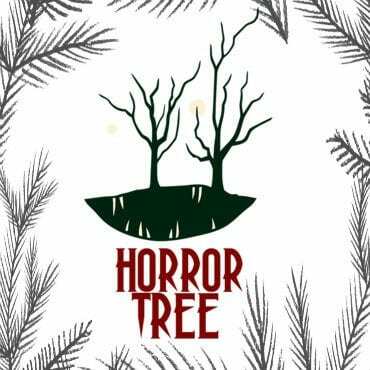 We all love The Horror Tree! Ruschelle: You’re written a few books on the paranormal, two of them being memoirs. Tell us a little about the events in your life that motivated you to pen your stories. Debra: I think the thing that affected me most, was spending three years in a haunted house. I was a fairly normal kid until we moved in. Whatever it was, the invisible thing living there with us seemed to focus on me in particular and unleashed a lot of poltergeist-style terror. This was the beginning, for me, of realizing there might be things out there we weren’t being told about by the grown-ups! Since that early age of fourteen, I’ve dealt with many similar experiences, and tried to help others who didn’t know where to turn. (I even worked a bit for California Psychics-and yes, they actually make you go through testing with two different managers before you’re hired) Eventually, this evolved into deeper understanding of hauntings, people involved with them, and learning the parameters of psychic abilities. Somehow, from all this, I also developed an understanding of the psychology of people in general, their motivations, both good and bad, and their triumphs and tragedies. Ruschelle: You refer to yourself as a ‘reluctant psychic.’ Your books, A Haunted Life: The True Ghost Story of a Reluctant Psychic and The Dead are Watching: Ghost Stories from a Reluctant Psychic- splash your feelings out on their covers. Why reluctant? Debra: Some of the female line of my family had psychic abilities. They were also very religious, so “psychic” wasn’t in their vocabulary. We heard the word demon bandied about enough that it terrified me to admit to having abilities, let alone using them! My mother’s family is also descended from Alice Nutter, one of the Lancashire Witches, who was executed by King James I in August of 1612. I don’t believe she actually was a witch of course, but then again, it has made me wonder if she had these same psychic abilities. Back then it was enough to get you executed. Ruschelle: Have you embraced your psychic insight, your ‘gift’? Debra: I have, and I haven’t. Yes, they can be a good thing and can help others. But over the years, I’ve come to believe they can attract negative energy, sometimes in the extreme. I think everyone has them to some extent, but some people shut them off young—especially if your family of origin is not accepting of it. I’ve also found the so-called right brained types have more experiences. This may be due to the creative person’s greater ability to adopt a childlike openness and viewpoint, which I believe is necessary in order to write, paint, play music, or act, well. Ruschelle: Have you met others like you and have you thought of working with them to write another book on the subject of the supernatural? Debra: It’s funny, but people seem ashamed to talk about this for the most part. They’re afraid of being called delusional or whatever. Once my books came out and I was doing a lot of appearances and events, I heard story after story from folks who had seen spirits, or had a deceased parent come back to them after death, or they lived in a haunted house. Once you break the ice discussing this stuff rationally, you would be surprised at the huge number of people who’ve had these experiences. I recently did a regional book on hauntings, mostly a labor of love for my area history and legends. I love the subject, the research, and would always be willing to write more nonfiction paranormal books. I’ve also done some smaller articles for charity and so forth. I am a big believer in giving back whenever possible. Ruschelle: You have written fiction as well. What did you find easier to pen, fiction or your own experiences? Debra: I love writing fiction too. Somehow, letting my imagination run wild and creating unlimited story ideas is so freeing. I love to write what scares me. So, monsters, both human and cryptid, Post Apoc and SHTF, ghosts, demons, and almost anything that would pit people against something scary, is fair game for me. Writing nonfiction is easier in some ways, since it’s merely retelling what happened. So, I think that making it up out of whole cloth, so to speak, is more exciting! Ruschelle: Have any of your real-life experiences with the supernatural oozed into your fiction? Debra: Yes, since feeling that heightened terror at a young age, I think I’ve been affected in many ways, and I can’t help but pass it on in my writing. That sense of possibility, of the existence of unseen things in the dark, or in the light, is always with me. We read horror to get that thrill. When we put the scary book down, doesn’t it make us want the lights on a little longer? That’s what I mean by affecting me. I want others to suffer with me. Ha ha, just kidding, sort of… I just finished edits on a book that will be coming out with Digital Fiction Publishing in the next couple months, titled “The Evil in the Tower”. It’s got a lot of personal experiences within it. Obsession, possession, and evil from the past get triggered by circumstances that mirror the original traumatic event which caused the haunting. It flips back and forth in time, to the California Gold Rush days, retelling the story. Ruschelle: Red Death and its sequel Red Death Survivors take place in a post-apocalyptic world. What inspired you to create a world filled with different ’ghosts’? Debra: Oh man, I’ve always been two things–a bit of an armchair prepper, of the what–if mentality, and a total germaphobe. So, combine those two things and add an Ebola Zaire pandemic, and you’ve got “Red Death: A Post Apocalyptic Thriller”, released by Severed Press. I loved the research that went into that stuff. How many microns of virus can live on the seat of an airplane, for how long, that sort of thing. The premise of those books, is what would a couple of normal people do if most of the world died? How would you avoid the virus? What would you eat? Can you hunt? Trap? How would you gather water and the firewood needed to boil it? What about the gangs of starving madmen you see chasing down the neighborhood cats to cook and eat them? I did learn you can eat any variety of Hosta—those green and white striped plants you see in everyone’s yard. I actually went out back, dug up daylily roots and roasted them in olive oil and salt. Yummy. Yes, I’m one of “those” writers…experience it all, live it, soak it in, whenever possible-except the chasing cats to eat part. Debra: Oh yeah, The Ghost and Mr. Chicken! I was flipping through channels not long ago and saw that one. I watched the ending, and it sure brought back good memories. 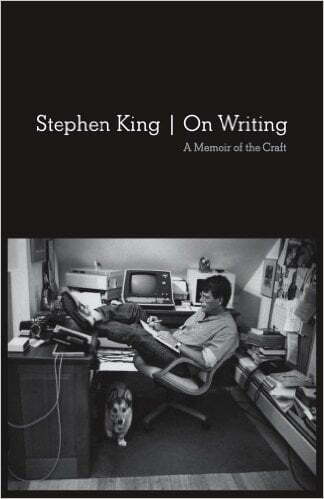 Ruschelle: Some of us have a book inside us we’d love to write or think we should write but it just eludes us. Mine is romance. I think I can write it but…blood and guts end up happening. Carnage is always a mood killer. LOL Is there a genre you’d LOVE to write to but aren’t sure if you can or should? Ruschelle: Are you lucky enough to craft your books quickly from beginning to end or are you a writer that let’s things stew, steep and bubble before it sees the light of the moon? Debra: You know, I think I am sort of a hodgepodge type, using whatever comes to mind. I usually start with an idea, as most of us do, then I start a file on my desktop, adding scene ideas, or whatever as I go. Then at some point, when it looks as though there’s enough of an idea there to make an entire book, I will start it. When I first began all this, I found a book on a screenwriting style of novel writing, called “Story Engineering”, by Larry Brooks. It was very helpful, and I always see my scenes in my head first, so it made sense. I do think I did it all a bit backwards though-most of my friends started writing short stories first, then moved on to full length works. I’ve written eight books, and just recently started on short stories. I’m really enjoying writing them too. There are so many great anthologies coming out this year alone-The Twisted Book of Shadows, Lost Highways, New Scary Stories to Tell in the Dark, Monsters of Any Kind, Haunted are These Houses—wow. I can’t wait to read them all. Ruschelle: Writing music is a different art form from writing books. Lyrically, one can be more cryptic and sentence structure isn’t always followed which can be very liberating. How do you tackle writing each art form? Debra: Songwriting really helped me lay the foundation for writing novels I think. The Nashville songwriter mantra is “Paint a picture with words”, because you only have three or four minutes to tell the story in a song. So you end up trying to be more descriptive, choosing words carefully to convey exactly what you want. No extraneous words, because every single one counts. I find in songwriting, I look at it as, every line counts, whereas in novels, it can be looked at more as every paragraph. Some may quibble with me on that one, but the songwriting rules are so exacting sometimes, you can’t deviate. In novel writing, it feels freer, like you can mess around a bit without getting into too much trouble. Ruschelle: Since you are an author and therefore a wordsmith, when you concentrate on songwriting do you write the lyrics first or is it the music that spurs the lyrics? Debra: For me, they’ve always come at the same time. It might be just a single line, which comes to me along with a melody. Then I work on the melody most, adding the lyrics as I go along, changing them as needed. I’ve also found a little trick, for the songwriters out there: always write the melody in your head first. If you sit down to a guitar or piano, your melody will be limited to the chord structures you know, and sometimes we get into a rut with those. Go for the soaring new melody, then try to find the chords that fit with it afterwards. Ruschelle: One of your songs was featured in the movie Killer Joe with Matthew McConaughey. Could you tell us what the process of submitting music is compared to submitting a story or book to be published? Debra: I’ve had several music publishers over the years, and signed many single-song contracts. (as opposed to being what’s known as a staff songwriter) The Nashville publishers bleed over into the Los Angeles music scene these days, whereas not so long ago, they were more separate. I’ve signed several songs with a publisher who had many #1 hits in his catalogue, both country and pop. He teamed up with an LA music publisher (Pen Music Group), who specialize in TV, and Film, doing everything from commercials to movie soundtracks. I have about twenty songs signed at the moment being pitched for various things. The way it works is, I record something I like or think is right for a certain star, or for TV or whatever, then I send it via MP3 to him. If he likes it, he signs it, and starts pitching it. (I have my own recording studio in my basement, so that makes it nice) So in a way, the book publisher pitching is similar. I think I had the edge on what to expect when I started writing for print publishers. I’m a little new to print publishing, my first book having come out in 2013, but as far as rejection goes, it comes with the territory in both music and print publishing! Ruschelle: You’re a blues gal with a sultry, rich voice. I love it. Other than your voice being perfectly suited for the genre, why else did you choose to write and perform the blues comparatively to other genres? Debra: Thank you. Honestly, I love singing all kinds of styles. In live performance, I sing everything from Adele to Joplin, Stevie Nicks, to Carrie Underwood. People comment on the bluesy voice, and I like singing (and writing) blues, but it apparently comes natural, and it chose me, rather than the other way around. Debra: Ha, ha. Never say never! I am always up for a challenge. Now you’ve got the wheels a turning. Ruschelle: You set up a scholarship fund in memory of your son. That’s a beautiful yet meaningful gesture to those you are able to assist. Could you tell us a little about the scholarship? Debra: Yes, I am excited about the scholarship. My son James was killed by a drunk driver in 2009. He was an only child, so it’s a devastating thing, all around. Rather than wallow in the grief-which believe me, is easy to do- I wanted to try and somehow turn a negative into something positive. So, eight years ago, we started an annual aggressive roller blading contest and music festival. All proceeds went into an account to fund this music/arts scholarship. The contest itself grew huge, and many people helped donate their time to achieve the final result. In May, 2018, this year, the first scholarship was given out. Long after we are gone, it will continue to help a young person going into the arts, music, or writing. It’s self-sustaining now, so all the work was worth it. My son James (a pro roller blading musician) would be happy. Ruschelle: You just had a story in Killing It Softly 2. Congratulations! What can you share with us on your future offerings? Books, music? Debra: I’m busy pitching short stories at the moment, and three are shortlisted with publishers, so wish me luck! I expect my book “The Evil in the Tower” with Digital Fiction to be out very soon. I also signed a two book paranormal suspense series with them, which will follow late this year or early next. I continue to perform locally, at my favorite gigs, and my publisher also continues to pitch songs. You just never know what will happen, and that’s the beauty of both songwriting and print writing. If you do it for the love of it, anything else that happens is a bonus! Thank you so much for sharing a little of your life with us. We look forward to hearing your music and reading your tales! If you want to find out more about Debra and her work you can find her via the below links. Ruschelle Dillon is a freelance writer whose efforts focus on the dark humor and the horror genres. Ms. Dillon’s brand of humor has been incorporated in a wide variety of projects, including the irreverent blog Puppets Don’t Wear Pants and novelette “Bone-sai”, published through Black Bed Sheet Books as well as the live-action video shorts “Don’t Punch the Corpse” and “Mothman”. Her short stories have appeared in various anthologies and online zines such as Strangely Funny III, Story Shack, Siren’s Call, Weird Ales- Another Round and Women in Horror Anthology to be released. Her collection of short stories, Arithmophobia, will be out in the Fall of 2017. Ruschelle lives in Johnstown with her husband Ed and the numerous critters they share their home with. When she isn’t writing, she can be found teaching guitar and performing vocals and guitar in the band Ribbon Grass Acoustic Group.